Celebrate your favourite city with the new Monuments collection by Nomination. 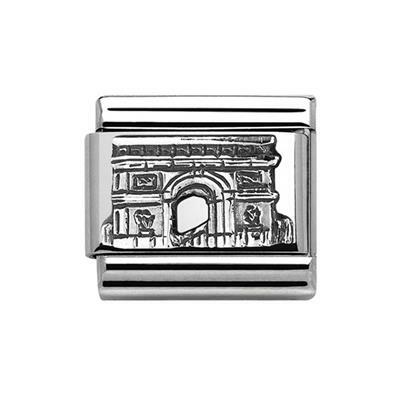 This beautiful charm, made from Stainless Steel with Sterling Silver details, features an Arc de Triomphe motif. The perfect sentimental addition to any classic sized Nomination bracelet.